The rumors were true and Andrew Lloyd Webber will equal Rodgers and Hammerstein's record when he has four shows running concurrently on Broadway early next year. 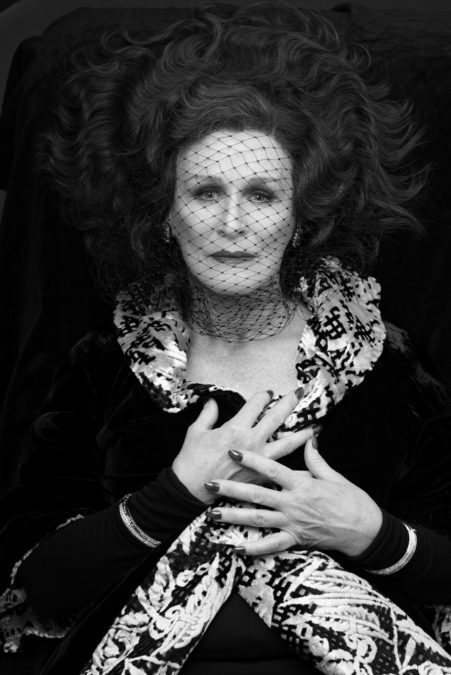 Glenn Close is set to reprise her Tony-winning performance in the composer's Tony-winning Sunset Boulevard at the Palace Theatre from February 2, 2017. Directed by Lonny Price, tickets are now available for the English National Opera's rapturously received revival, which will have an orchestra of 40 and play a limited 16-week engagement. Opening night is scheduled for February 9. No word yet on further casting, but the semi-staged ENO production, which ran in London earlier this year, co-starred Michael Xavier as Joe Gillis, Siobhan Dillon as Betty Shaefer and Fred Johanson as Max Von Mayerling. Close was last seen on Broadway in 2014's A Delicate Balance, the first time she had appeared on the Main Stem in 17 years. The six-time Oscar nominee and three-time Emmy winner got her start on the Great White Way, and also won the Tony for her work in The Real Thing and Death and the Maiden. Her plethora of film and TV credits include Albert Nobbs, Dangerous Liaisons, Air Force One, Fatal Attraction and Damages. Based on the 1950 film of the same name and featuring a score by Lloyd Webber and a book and lyrics by Christopher Hampton and Don Black, Sunset Boulevard premiered in the West End in 1993, directed by Trevor Nunn and starring Patti LuPone. In a widely publicized upset that resulted in an out-of-court settlement, Close brought the role to Broadway the following year. The production garnered seven Tony Awards including Best Musical. The ENO incarnation of Sunset Boulevard was just nominated for two Evening Standard Awards, including “Best Musical” and a “Best Musical Performance” nod for Close. Lloyd Webber currently has two original productions, Phantom and School of Rock, running on Broadway; a revival of Cats is also playing.